Looking for a stylish leather 18 inch laptop bag? Take a look at our extensive collection of laptop bags. Made of 100% full grain top quality leather. 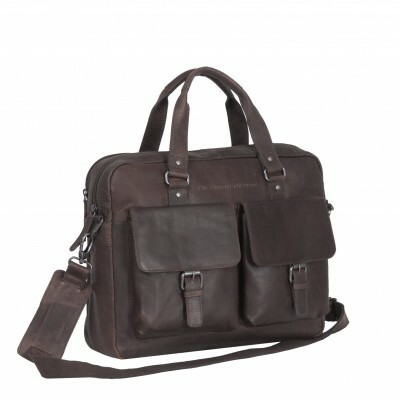 Are you looking for a leather 18 inch laptop bag? The trend for years has been that laptops are becoming smaller and thinner. Easy to carry in every bag. However, a large laptop can also be very useful. And because you also like to take this with you in a stylish way, we offer a stylish and sturdy leather laptop bag, especially for 18 inch laptops. In addition to a sturdy laptop compartment, this leather bag also offers various storage compartments for folders and A4 documents. 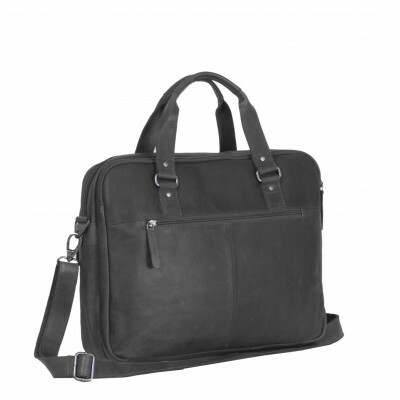 The laptop bag has two large main compartments, an organizer and a compartment to store your tablet safely. Our leather laptop bags are made of high quality wax pull-up leather. Wax pull-up leather is characterized by a soft and supple structure. Any signs of use can easily be rubbed away by the special wax treatment that the bags have undergone. This keeps the bags as new for years. The security of your laptop also received ample attention. All laptop bags are equipped with a hard foam laptop compartment. This material protects your laptop against crash and impact damage. Rain also is not a problem. The leather is not waterproof but water-repellent. When the bag has become wet it is prudent to treat the leather with leather wax. This keeps the leather in optimal condition. A leather 18 inch laptop bag too big for you? No problem. Our range offers plenty of choice for laptops in all sizes. Did you order today before 16:00? Then your order will be shipped the same day. All orders are packed with care and delivered to our carrier DPD. Do you have questions about one of our products or about your order? Do not hesitate and contact our customer service. We are happy to help you.